Ogden Nash is echoing in my living room. Just before him, Billy Collins. Rita Dove kicked off our poetic performance this afternoon. While at the library the other day, my little man gravitated toward poetry display, pulling down the book Poetry Speaks to Children from the National Poetry Month display at our local library. Instantly, I was transported back to my time student teaching. While other twenty-somethings may have asked for money or a car, for Christmas I asked for the box set of In Their Own Voices: A Century of Recorded Poetry. Four CDs filled with poems read by the original poets - a scratchy recording of Walt Whitman reciting "America," Sylvia Plath's plaintive cry for "Daddy," Robert Frost contemplating "Birches." I would sit in the middle of the living room/bedroom/study of my studio apartment and let their voices pour over me, mesmerizing and transporting me. As a student teacher, I wanted to share this love with my students. I would bring the CDs into class every chance I could. This afternoon, watching my little guys nestle into the couch, listening to the poetry of Maxine Kumin, Gwendolyn Brooks, and James Berry, I am reminded of the magic that poetry evokes. 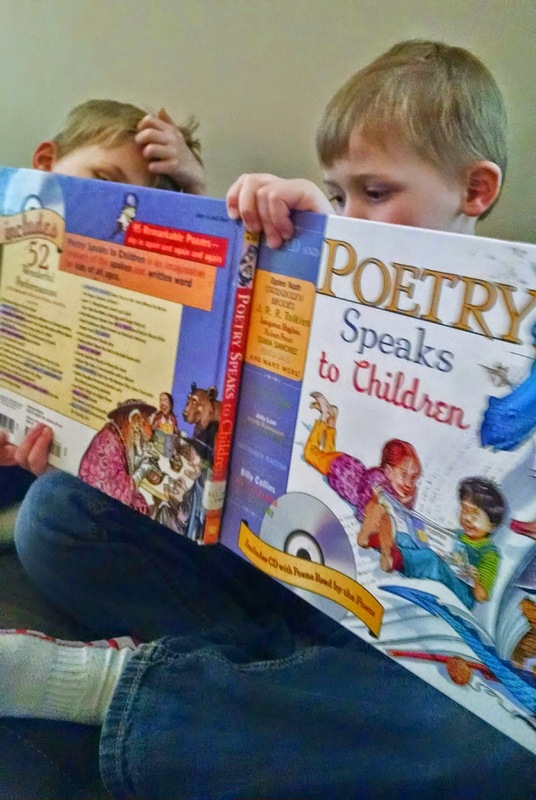 It's not just because they have a mom that loves poetry (okay, maybe it is a little bit of my influence), my boys are transfixed by the words of poets. They listen for the rhythm, for the rhyme. They get excited at particular images and turns of phrase. My kindergartener grabs the book. He points out words on the page, notices how some line up, others stop short. He wonders why some poems look different from others in the collection. He is noticing the choices that the poets make visually as well as rhetorically. This is what makes poetry so powerful as a teaching tool. 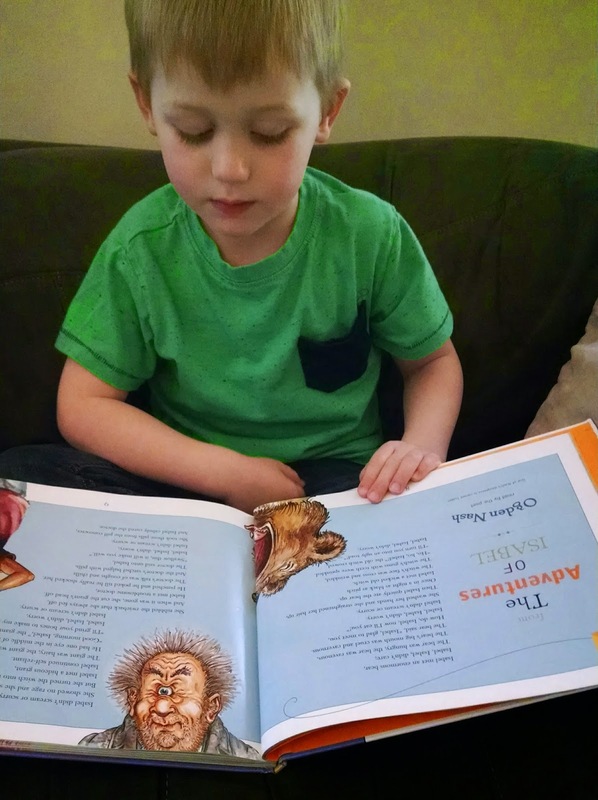 Poetry is accessible for readers of all ages, all levels, all content areas. We might look at Robert Hayden's "Those Winter Sundays" (one of my favorites) in English class, using it as a mentor text for our own adventures writing poetry. We'd notice the alliteration, the creative use of adjectives. We'd steal his rhetorical style for our own creations. But we could also look at the poem from a different lens in history class. What might this poem tell us about family dynamics during the early twentieth century? Bring this piece into an art class, and how might we create different visual interpretations of the piece. What do we chose to focus on visually within the poem? How might that focus help a reader reinterpret the text? Bring poetry into science class. Bring math and poetry together for an interesting collaboration. Poetry has the power to connect us, inspire us, transport us. Last year for National Poetry Month, I put together a collection of some of the resources I use bring poetry into my high school classes. And as you might imagine, I've added quite a few new resources over the course of this year. I've done more with visualizing poetry this year, playing with Austin Kleon's blackout poetry as inspiration and sharing the New York Times' Magazine series "Picture and a Poem" with students before asking them to pair a creative piece of their creation with a favorite poem. There are so many ways to bring poetry into the classroom. To help get you started, here's a great place to start. These are poems that I use in with my high school classes to inspire our own writing. It is a growing playlist, and I'm always adding new favorites. Have a suggestion of a video I should add, please let me know!